I am very tricky. I also love to sneak up on people and scare them. Practical jokes make my day, and I love to hide things, especially treats so I can have them later. My family likes to compare me to a squirrel. You never know when or where I will be with my camera ready to catch you off guard. I am a super Spy and a Super hero, top secret of course, so don't tell anyone. Hangers need to hang the same way in the closet to keep the universe from collapsing, I am still trying to convince my husband of that fact. He avoids that problem by throwing all his clothes on the floor and refusing to buy more closet space. I am addicted to spices and herbs. I love experimenting with them in food and art. I make my own soaps, oils, candles, incense....yes, I am a witch but don't worry, I am a good one and I never drink and fly. There is always some kind of stone in my pocket or on my person, and I am always looking for new ones. I recently quite my stone of the month club but I think I may have to join again. Just another addiction. The sound of sports announcers on TV or the radio make me cringe. I don't understand why they have to scream, it hurts my ears! If my husband is watching sport on TV, I wear headsets and listen to music. Get a grip people, it's only a ball! 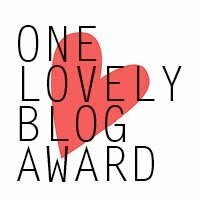 Thank you crazy yet LOVELY MELYNDA and CREATIVE KATIE O'SULLIVAN for these awards, make sure to check out their great blogs. Here are my picks for random exposure, no pressure---do what you will with them. Alisia at Some Writers Make It..
For all you mothers out there, have a wonderful Mothers Day! Your mother is the one person who will always have your back! Drinking and flying is dangerous - glad you don't do it. Hi Siv .. congratulations on the awards .. my pockets would fall apart if I collected stones - plenty here from the beach, but sharp flinty ones!! Thank you so much for passing it/them on to me .. really appreciate the thought ..
Have a great weekend .. I love food with spices and herbs in .. sadly I'm not arty .. so we'll have to stick with the food and vino!! Siv! 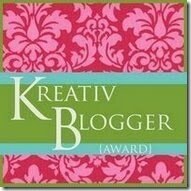 Thank you SO very much for the blog love!!! You are so sweet!! And, I'm glad too that you don't drink and fly, and glad that you use a lot of spices--I'm a spice girl too--wait, that came out wrong--you know what I mean! Congrats on the awards and Happy Mommy's Day. Happy Mothers day Siv! Hope you had the best one yet! Way to asnwer the challenge my friend! Thanks again--you really made my day!